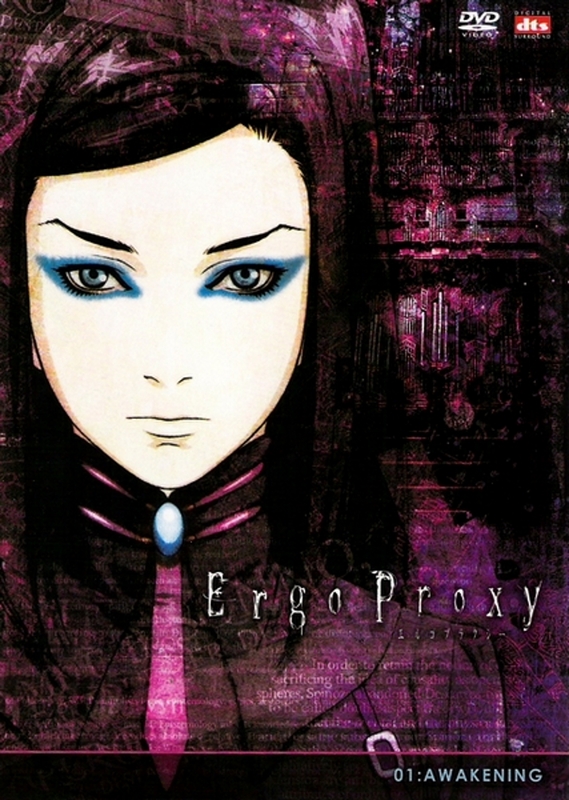 Ergo Proxy began airing on February 25th of 2006 continuing on until the 12th of August that same year. The plot follows two main characters as they both fight to unravel the secrets surrounding their situation and the mystery behind the Proxy. Re-L Mayer is the granddaughter of Regent of Romdo and works as an investigator for the Citizen Intelligence Bureau and is currently investigating the recent outbreak of the Cogito virus (a malicious virus that gives AutoReiv androids free will). Meanwhile, an entirely underwhelming immigrant called Vincent Law, works in the AutoReiv Control Division, disposing of infected androids. He is determined to become a model citizen of Romdo, unfortunately, his dreams are hindered by the trauma of his past despite the fact that he has no memory of it. Then everything changes for both Re-L and Vincent with the emergence of the Proxy. My Review: Ergo Proxy is either one of two things, a really great psychological anime or a really confusing action anime. In terms of Psychological concepts, this show really pulls out all the stops, to the point where in the later episodes you start to doubt if anything is actually happening and it not all just in the characters heads. Personally, I felt that that the show really fell apart in the latter half, mainly due to those reasons. However looking at this show from the point of an action anime, the show has a fair few action scenes which were all excellently animated and really injected life into the show. Unfortunately there just wasn’t enough of it for my tastes. I think that if the show had stuck with the pacing and presence of the first few episode then that would make the whole show much more entertaining, but due to the drastic change of the second half, I can’t rate this show as high as it could have. I rethe this anime 4.5/10.